Early Joomla 1.5 site that had it’s tiny MCE compromised. There were PHP files in the image directory, and a few in the root of the website. One was named “wthm1035g.php” and inside was “ÿØÿà”. I have no idea what it is exactly. If someone knows comment. I am starting my research on eliminating “semalt.com” from an Analytics report. One person suggests putting the following in your .htaccess file. I haven’t tried this yet but I plan on it. The following is a link I started to use. I am sure there will be more to follow. I went to Semalt and registered some sites through their tool. I will try to update with the how it worked out. I recently ran into this issue when trying to upgrade a Joomla 1.5.23 site to 3.3. Here are the steps I took. Installed a local version of the site. When I ran jupgrade it would download Joomla 2.5. At the end of decompressing the files there would be an error of “unable to find zip”. I used AdminTools and set the permissions of the tmp folder to 777 temporary. Ran jupgrade and everything worked perfectly. For more info on how to upgrade your Joomla 1.5 to 2.5 successfully I have posted more details here. And this article was a help. 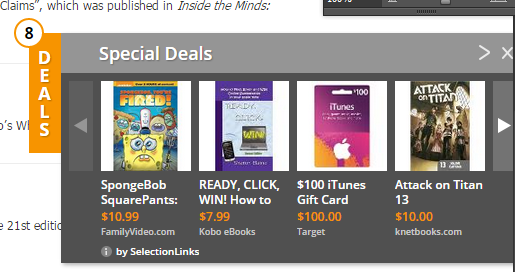 A customers WordPress site is displaying ads again. Don’t have all the information, but there were links to www.superfish.com. This site turns out be some visual recognition software. Here is some of the code in the page that I believe is linked to the attack. The code for the box was just above the ending body tag. Below is some of the code that was found. Will try to post more info if I can. Recently moved a site from Network Solutions to GoDaddy. I created a blank database. Created a new user and associated that user with the new database, but when importing the MySQL database I got an error. I needed to comment out the creating of the database. This article helped me figure it out. We often build a clients site on a hosting account where the domain name hasn’t been transferred or the DNS has been pointed to the new hosting. A common way to solve this issue is to modify your host file on your local machine. Depending on your Operating System will determine where your local host file will be. Open the file in a common text editor like notepad. The following link helped my find my host file. Add a line so there is no “#” before your next entry. Add the IP address and the fully qualified domain name. 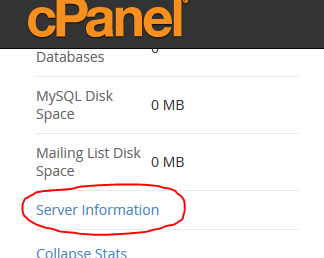 To get the IP of your new host it can often be found in the CPanel. In Godaddy it is currently on the left side, down at the bottom under server information. After you save the host file you will be able to use a browser and go to the domain name and you will get to the new hosting to preview your site. You may need to wait a few minutes. You may need to clear your cashe or hit refresh. Set up two new Godaddy hosted email accounts. Then when setting up their Outlook with the godaddy email account testing the account failed. Wouldn’t send. Keep asking for the password to the SMTP server. I changed ports and and connection types but no luck. I was able to set up the first account but not the second. Everything was the same. I finally reset the password for the second account to be the same password it was when I first set it up and suddenly it all worked. We had a client with an old XP machine that wouldn’t start. It gave the error about the “System” file. I was able to use Bart PE, go into the restore directory and replace the corrupt files with the last restore and get the machine to work again. I used the following tutorial.